In my ten years as a history textbook writer, I was always trying to sneak Benedict Arnold stories into the books. And the editors were always cutting him out. Now, many years later, I’ve finally gotten the chance to tell the story. 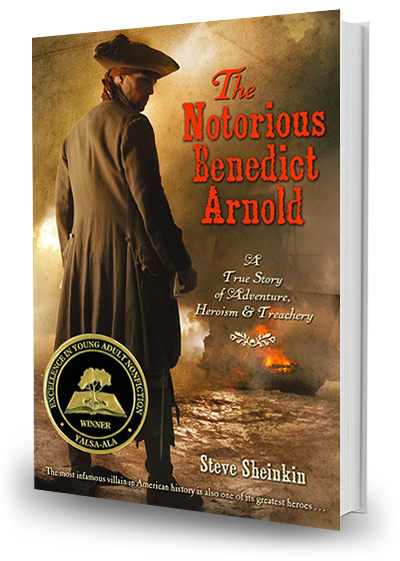 The Notorious Benedict Arnold is a non-fiction action/thriller based on many years of research, and travels to all the places Arnold lived, fought, and drove his fellow Americans crazy. Reviews, excerpts, and more at the publisher’s website!